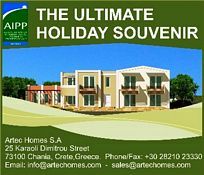 Full Description: SOLD - BRAND NEW HOMES FOR SALE ON CRETE - BUYING OFF PLAN - YOU CHOOSE THE LAND WE CAN DO THE REST..... We have a large land bank at our disposal and an exclusive portfolio of properties available in some of the most idyllic locations in western Crete..... We have a numerous variety of plots and properties not yet displayed on our website that we receive on a daily basis, so please feel free to register your details with us and we guarantee that we will source a plot or property that best suits your needs, budget and specifications..... PLOT EXAMPLE.....In the picturesque village of Karanou, this old stone house of 145.06 mÂ² is set on an elevated plot of 186.94 mÂ² in the rolling foot hills of the White Mountains..... 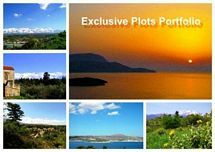 The whole plot has magnificent views of the surrounding area and the sea. It needs complete restoration work, but could be lovingly transformed into a modern home with traditional features, in an idyllic location..... Currently, the building consists of 88.68 mÂ² ground floor, 56.38 mÂ² first floor, 10.80 mÂ² of lower ground floor, and there is a courtyard garden with trees and flowers where it is possible to create a beautiful terrace to maximize on those outstanding valley views to the sea in the distance..... All our new and resale properties and plots are guaranteed FREEHOLD with clean titles and deeds..... Distances: 15km from the sea, 26km from the port of Souda and 30km from Chania airport. This listing has been viewed 3440 times.